The Philippines – Atene Blue Eagles are scheduled for a head-to-head game against the team Japan at 5:00 P.M. on July 18, 2018 in Xinzhuang Gymnasium, Taiwan. 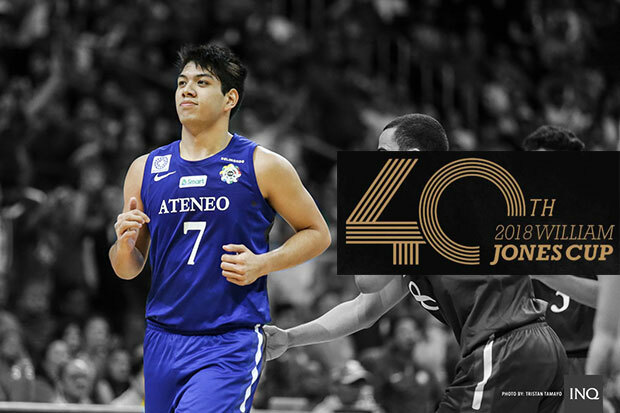 Philippines-Ateneo Blue Eagles gave team Canada a scare yesterday when they almost erased a 24-point lead. The combination of Gilas cadets Thirdy Ravena and Matt Nieto initiated the run with their three-pointers which trimmed the deficit to just only 10, 70-80 with two minutes in the fourth quarter. However, the size advantage and the hot shooting of team Canada continue to dominate and eventually won the game, 86-78. That attempt to make a comeback shouldn’t be necessary only if the Blue Eagles executed their defense properly in the opening quarter where most of the damage of team Canada was done. At the end of the first period, Canada already leading with double-digit margin, 35-14. Ravena continued to display his all-around game as he tallied with 12 points, 6 rebounds, 2 blocks, one assist and a steal while fellow Gila cadet Mike Nieto added 18 points to lead the Philippines’ representative squad in the 40th William Jones Cup. Ateneo had several chances to cut the lead even more in the last few minutes of the game but their shots weren’t able to convert and team Canada took home another victory and kept their win-loss card still unblemished. Team Philippines dropped to 1-2 and they’ll be facing team Japan at 5:00 PM live from Xinzhuang Gymnasium in Taiwan.